A modern twist on a familiar name in ignition performance is back! 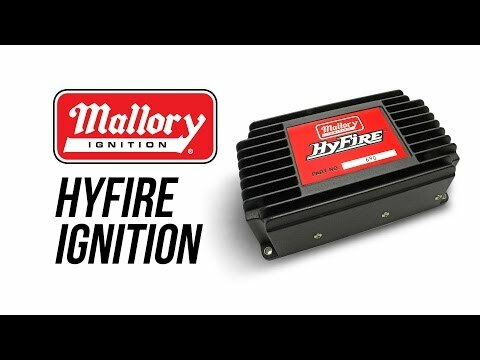 The Mallory HyFire needs no introduction. Packed inside the retro case are modern electronics ready to deliver a powerful ignition punch. 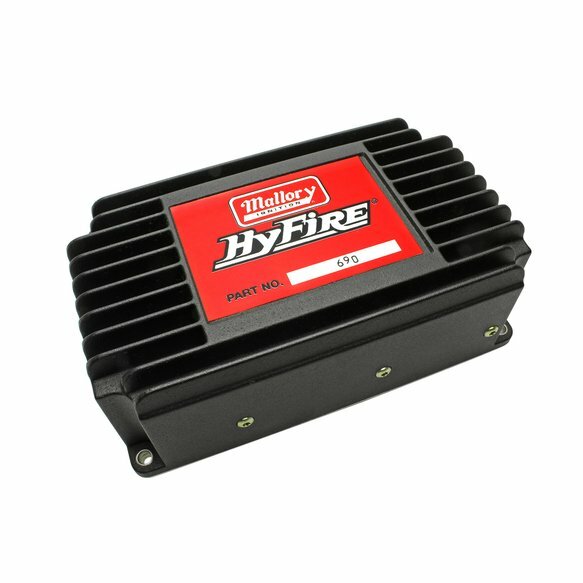 The HyFire is a capacitive discharge ignition that supplies multiple sparks at low RPM's for a clean idle and quick throttle response. Since the HyFire provides powerful spark through redline, a built in adjustable rev limiter will help tame your beast in case of a missed shift or driveline failure. The rev limiter is adjustable in 100 RPM increments with easily adjustable rotary dials.